In today’s digital landscape, visibility is key. The ability to place your business front and center of your audience is something that sets the great apart from the rest in practically every industry today. Our services make our clients easier to find, and ensure that they look good when they are found. We stay on top of the latest developments and trends in our field, put our clients at the top of search results, and we recently popped up at the top of a list ourselves. 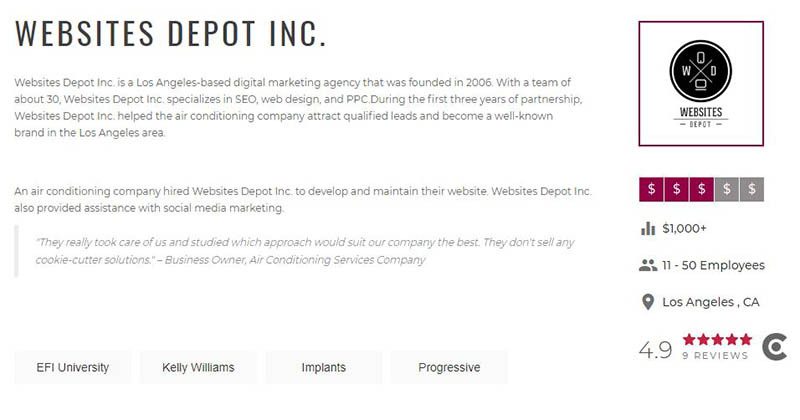 Websites Depot has recently been featured as one of the top Los Angeles providers of PPC management services! This accolade comes to us courtesy of Clutch, a ratings and reviews platform for B2B service providers and buyers. Clutch uses in depth research and verified client reviews to judge the quality of vendors across dozens of industries, helping find partners that match the scope of their challenge, budget, and future goals. After being evaluated alongside more than 200 of the top PPC agencies in Los Angeles, we are listed among the top 30. Clutch’s takes a in depth approach to their review collection. Their analysts interview companies’ clients often over the phone, providing a true window into a partnership with that company. And as a result of our reviews we have a near perfect rating of 4.9 out of 5 stars. We are incredibly grateful for the opportunity to receive such a direct source of client feedback. These reviews allow us to properly assess the quality of our work, and continually make improvements for our clients. In addition to our presence on Clutch, we are featured on their sister-site, The Manifest, as one of the top providers of SEO services in Los Angeles. 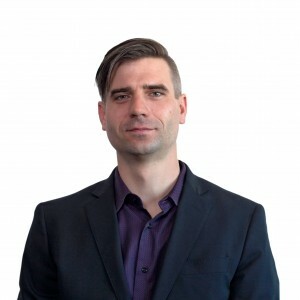 The Manifest is a resource for firms of all shapes and sizes, helping them identify and address their challenges, and we are proud to be featured as a trusted provider of some of those solutions. And to further demonstrate the quality of our solutions we can now be found on Visual Objects, a comparative shopping platform for firms to find B2B vendors. We look forward to showcasing the quality of our work, as well as what sets us apart from the competition. This is more than an opportunity to share good news, we would also like to share our appreciation for Clutch and our clients. Thank you to all of our clients, it has been a pleasure working with you, and your support means the world to us. We have enjoyed helping you all grow your businesses, and we are excited to see what else you have for us.